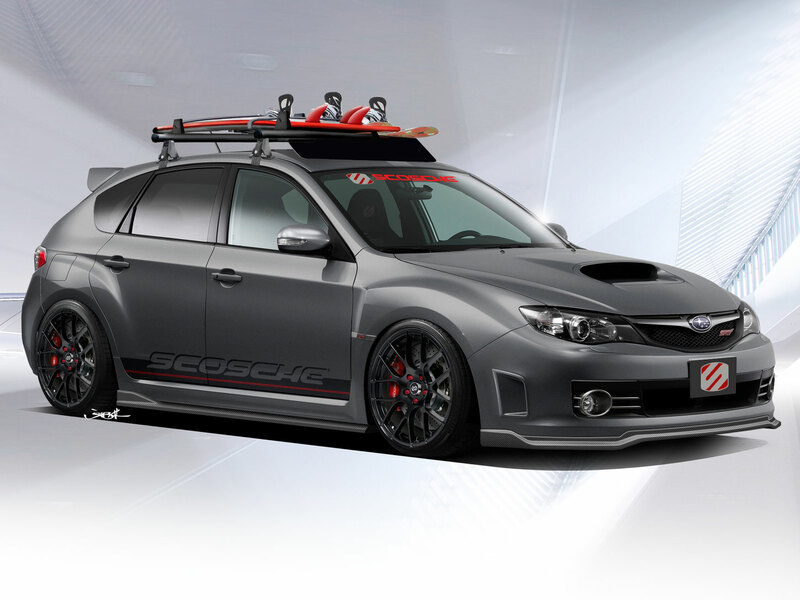 Recently I was commissioned by Scosche Electronics to re-vamp an existing show car (Subaru STI) that they own to keep it current as well as give it a lifestyle feel, while showcasing their XD line of products. 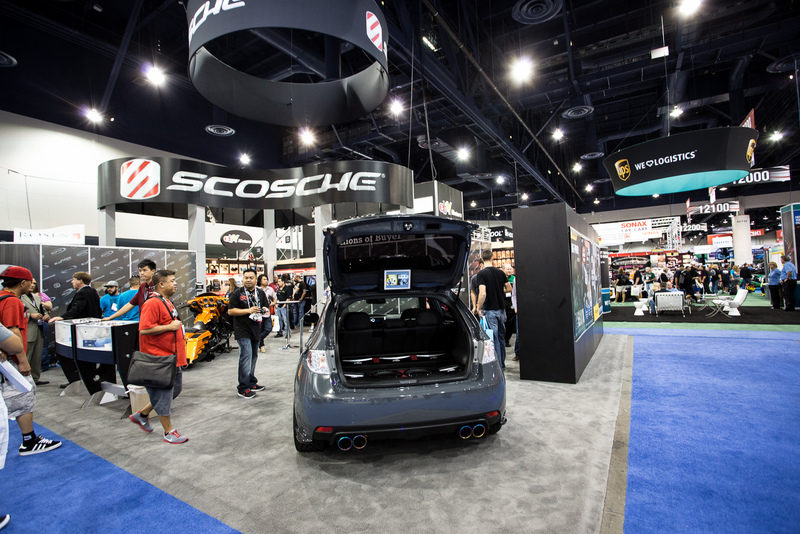 Scosche is mainly known as the innovator for car audio installation hardware and portable electronic accessories. They also have a line of consumer products ranging from iPhone cases to headphones. 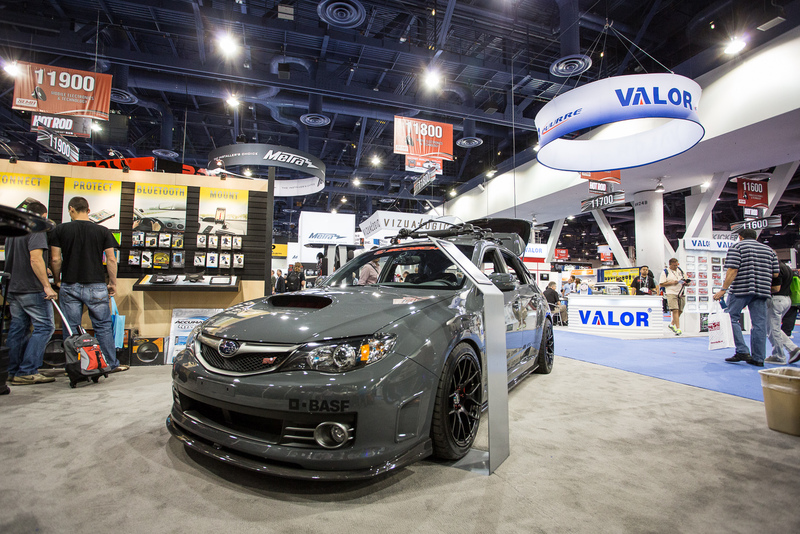 The vehicle made its debut at SEMA within the Scosche booth and will be shown again in their CES booth in January. One of the interesting things with this project was that it was a re-build of an existing show car vs. a brand new vehicle. So many things needed to be updated and replaced as well additional bodywork from the car’s daily use. 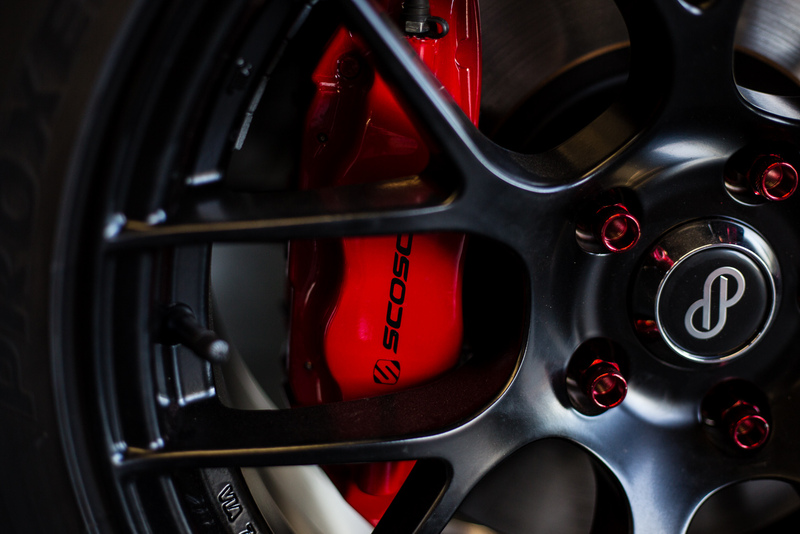 As with all SEMA projects nothing ever goes as smoothly as planned, but it eventually does get finished at the end. As with all project vehicles I take on I start with an initial idea / concept and then brainstorming session with my close friend and automotive illustrator-extraordinaire, Jon Sibal. Since Scosche wanted to incorporate a lifestyle feel as well as the family that runs the company are big into surfing I couldn’t think of a better brand partner for the project than Alpinestars, who is both in the motorsports and action-sports world. Once the initial set of sponsors were in place it was time to create a rendering with Jon to showcase the build to the client. 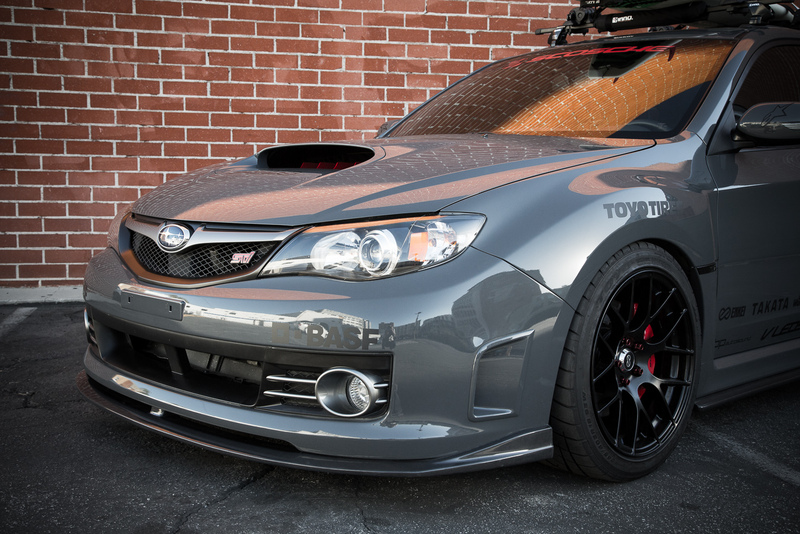 I elected to go with a BASF charcoal grey paint to give it a bit of an urban feel and stealth look complemented with matte black Enkei Raijin wheels and Toyo Tires. 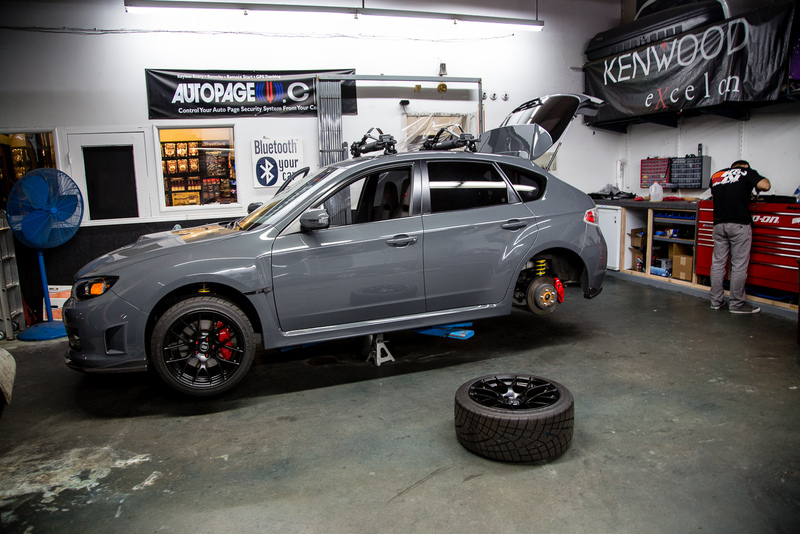 KW Variant 3 coilovers and Whiteline suspension products help give the car the proper stance for daily driving and control. 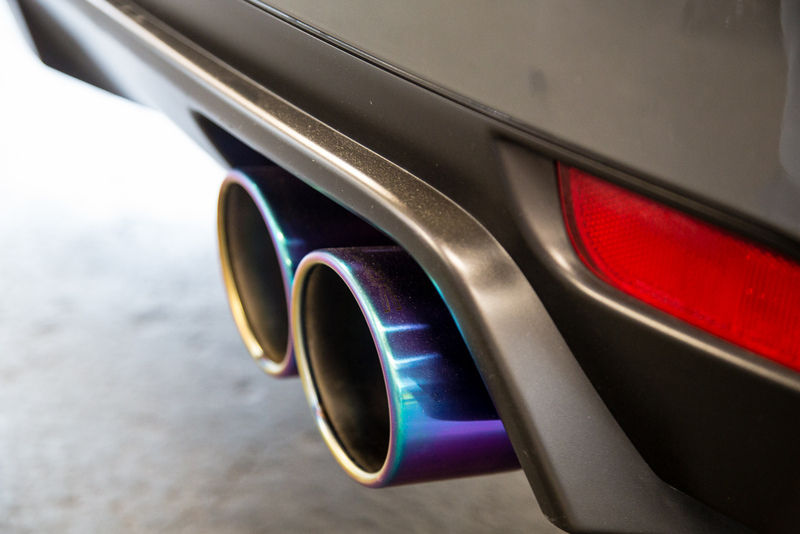 ARK Performance provided the titanium cat-back exhaust, while AEM provided the cold air intake. 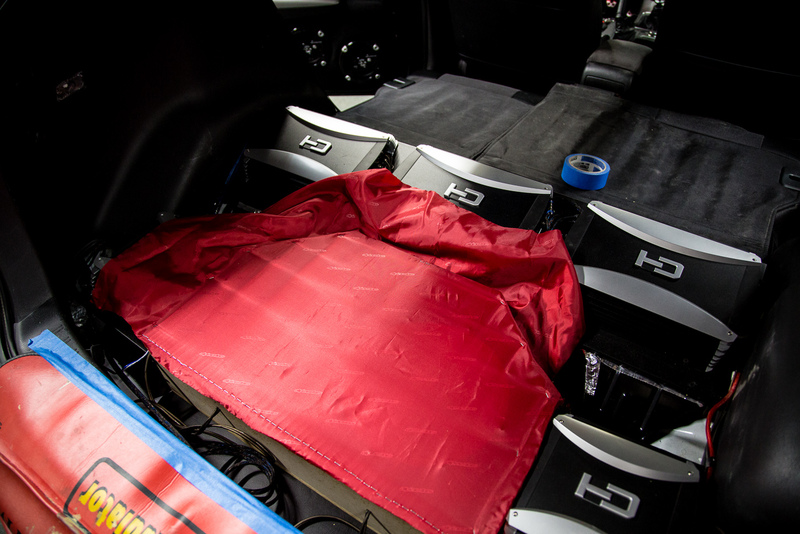 Not much power was needed for this show vehicle, but we may add more in the future. 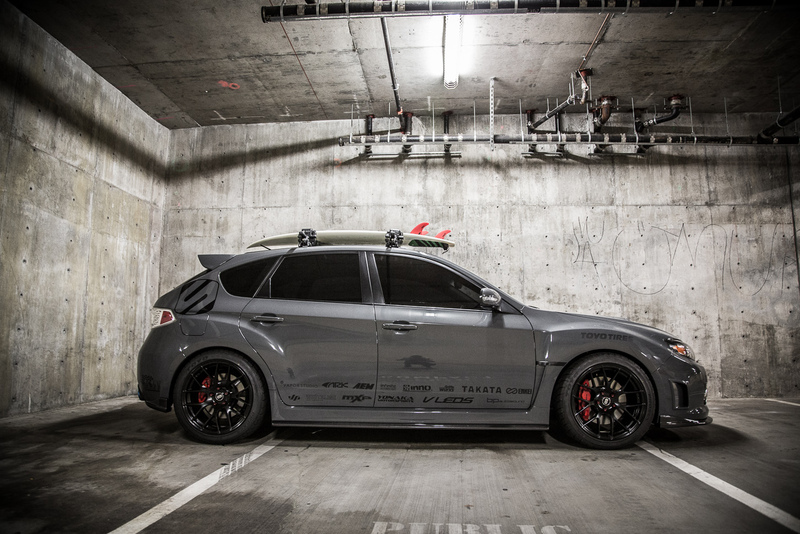 For the exterior a simple carbon fiber Chargespeed lip kit keeps the bodywork minimal, but adds to the overall feel. 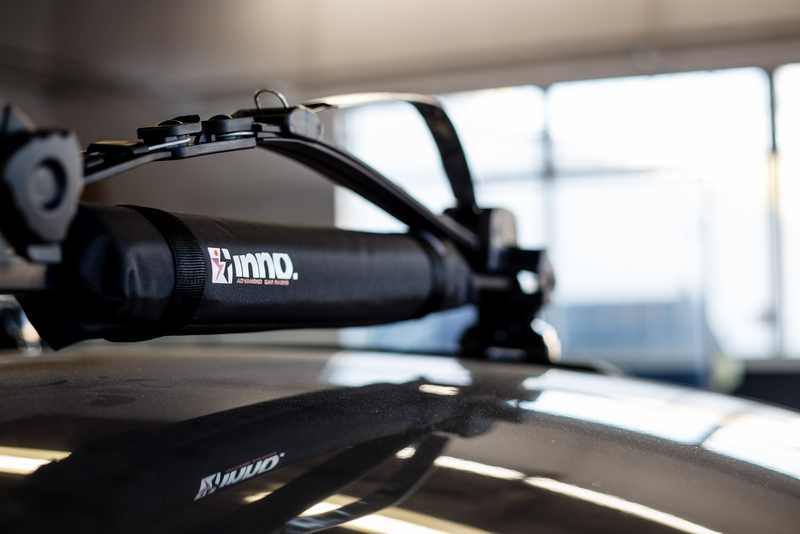 An Inno surf rack with custom rails adds a nice touch as well. 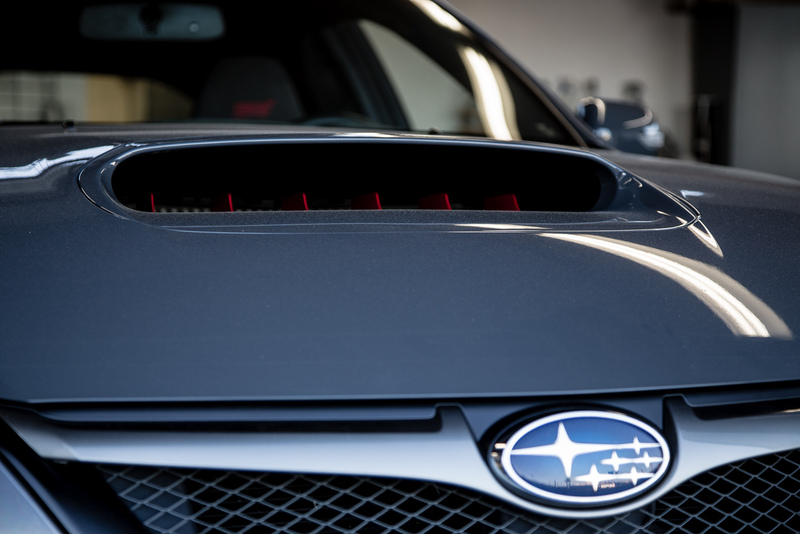 On the display surf board we added red fins and also color matched the gills inside the hood scoop as subtle detail. 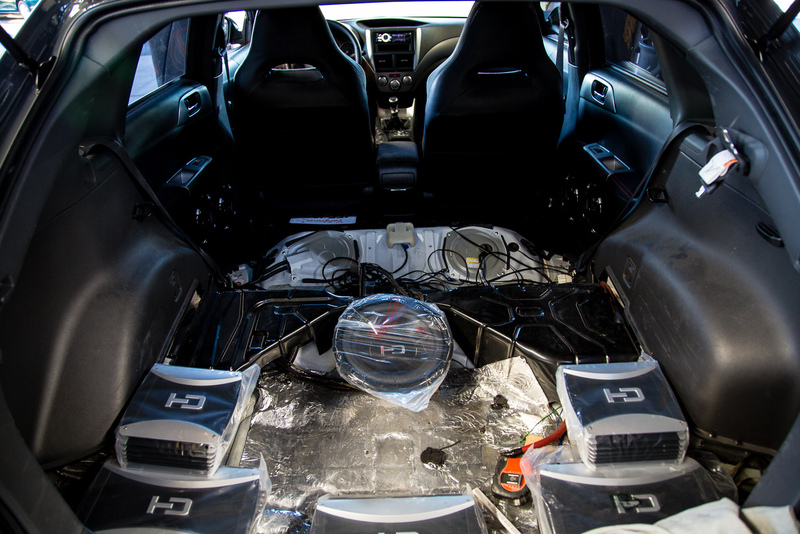 The heart of the build comes inside the interior. My inspiration came from designer edition vehicles, where the luggage matches the interior of the vehicle. 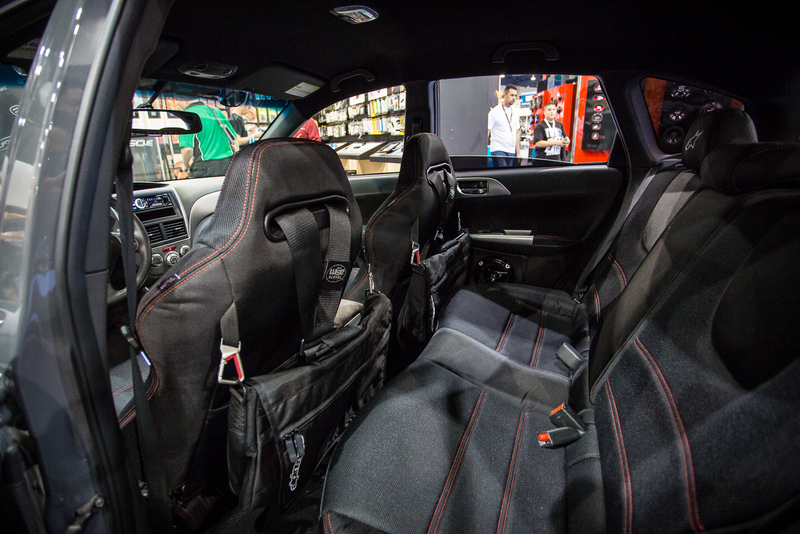 Utilizing the Alpinestars Global Luggage collection materials, fabrics and design cues the Yonaka seats, door panels, rear seats, headliner and trunk were re-wrapped with a assortment of air-mesh, ballistic nylon and more. 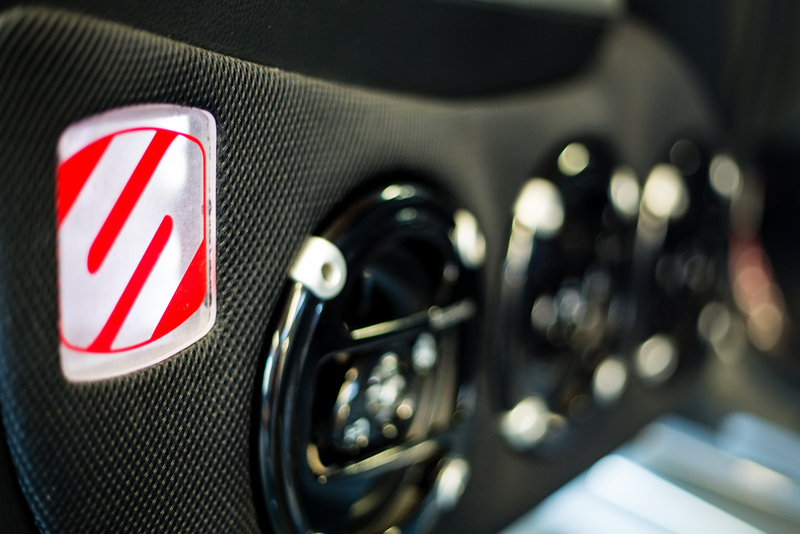 Infinite Auto Design wrapped the interior to match the look and feel of the current luggage collection and incorporated Astars logos and labels throughout. 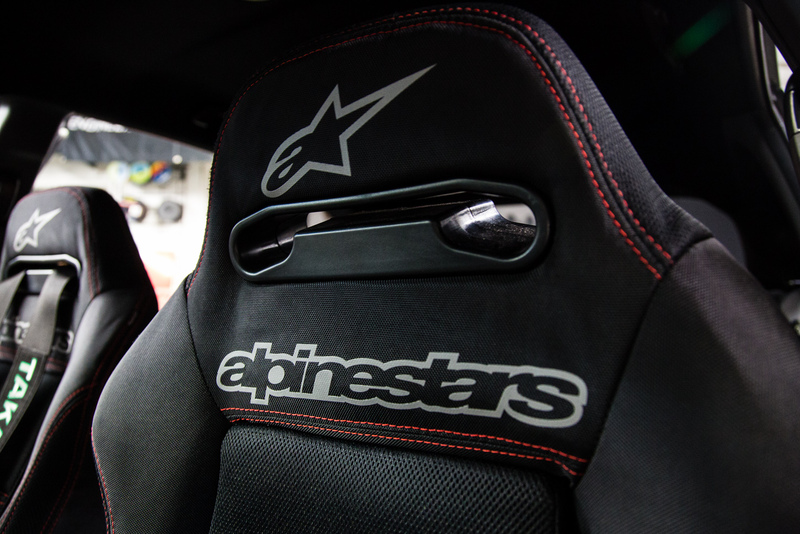 Additionally, Astars clips / carabiners were added to be able to include the actual Alpinestars bags. Displayed at the show were the messenger bags, but the small duffle and backpack hook-up nicely to the carabiners as well. 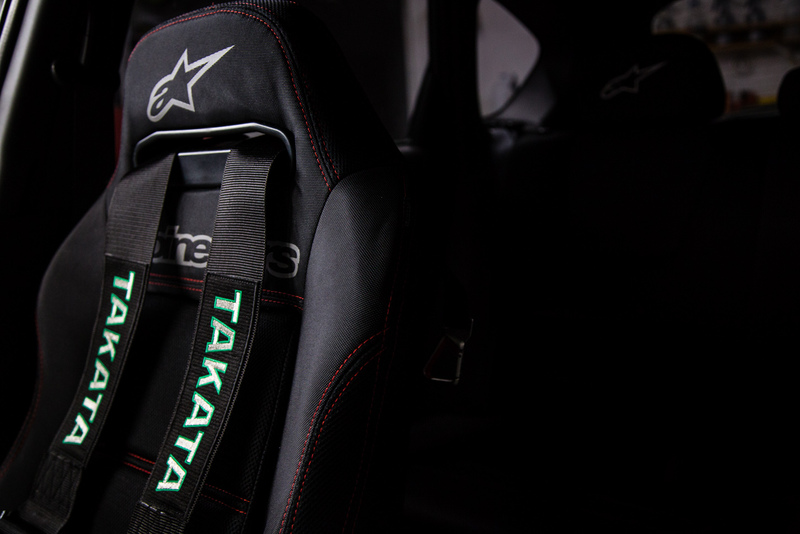 New Takata black Drift III street legal harnesses round out the interior along with an MXP titanium shift knob. 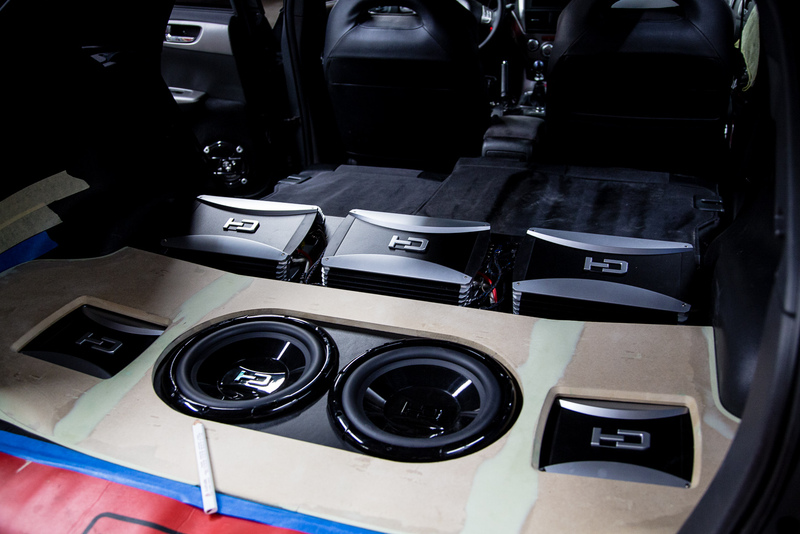 BP Autosound in Buena Park, CA installed the custom system that includes a healthy showcase of the Scosche XD line of product from speakers, amps and subwoofers along with Scosche cables, sound deadening material and even a modified iPad headrest mount built into the trunk. 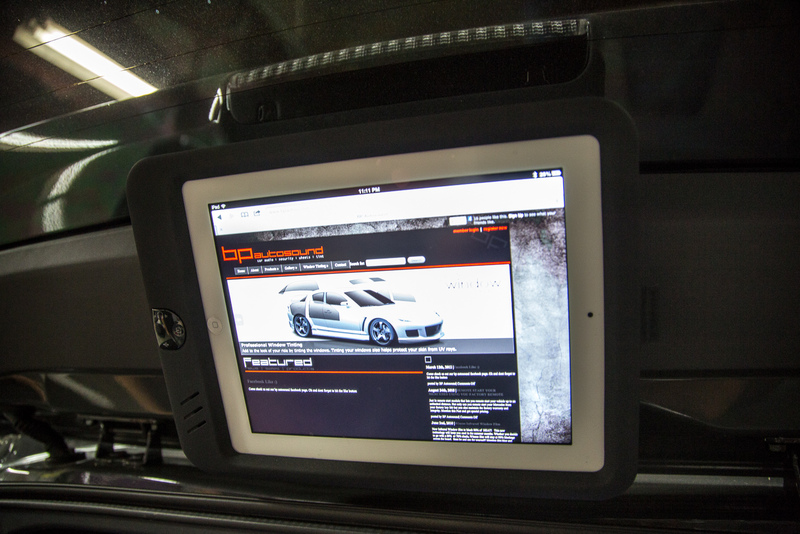 Using the Scosche app you can wirelessly control the entire system using your iPad or iPhone, perfect for shows. VLED lighting updated all of the older lights in the car and was used in the door panels and trunk to help showcase the fine details. 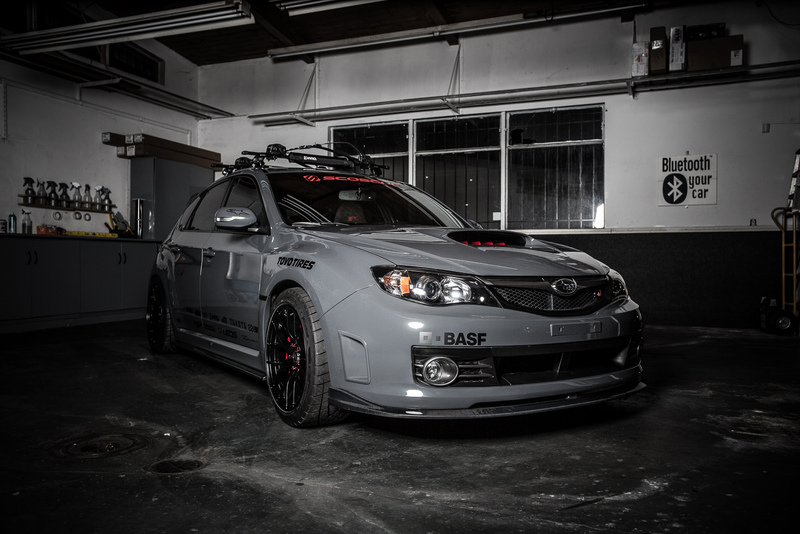 This vehicle will be on display at the Scosche booth during the 2013 CES convention alongside another project car build that will be sure to turn heads. More to come. Special thanks to everyone that helped make this possible including Scosche, Alpinestars, Vapor Studio, Ivan and the team at BP Auto Sound, John Park, Sean Griffin at Griffin Wurx Paint, Jon Sibal, Chris Hull, Brian at Infinite Auto Design, HWY Auto, Chris & George at KW, Alex at Enkei, Stan at Toyo Tires, Brian at Fox Marketing, Alex at Ark, Kyle at Inno, Donny at Versus Motorsports, Eddie and Steve at Mackin, Tom at Whiteline, Jake at VLED’s and every one else that was part of this project.